Appointed Canon of the Cathedral Chapter in June 1998. His nephew, Fr. Charles N. Kiely currently serves in the Diocese. Parochial House, Kilbrittain, Co. Cork. 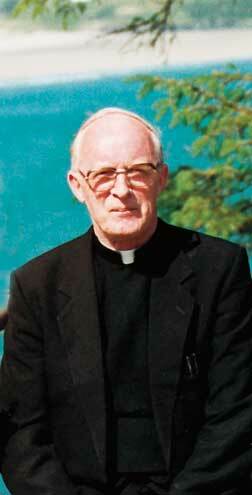 Canon William Aherne, parish priest of Kilbrittain, died on June 27th. He had been in failing health for a while. Canon Aherne was born in 1934 and was ordained a priest of the Cork Diocese in 1961. His 39 years of priesthood saw him serve in many places, beginning in Savannah, USA, in 1961. He was appointed Chaplain in Bandon in 1963, and was appointed to his first curacy in 1965 when he went to Newcestown. Further terms as curate saw him serve in Courceys (1969), Ballincollig (1972), and Ballyphehane (1981). He was appointed parish priest of Kilbrittain in 1991 and served there until his death. Canon Aherne was buried in Kilbrittain on Friday June 30th. Published in the Cork and Ross Diocesan Directory 2001.